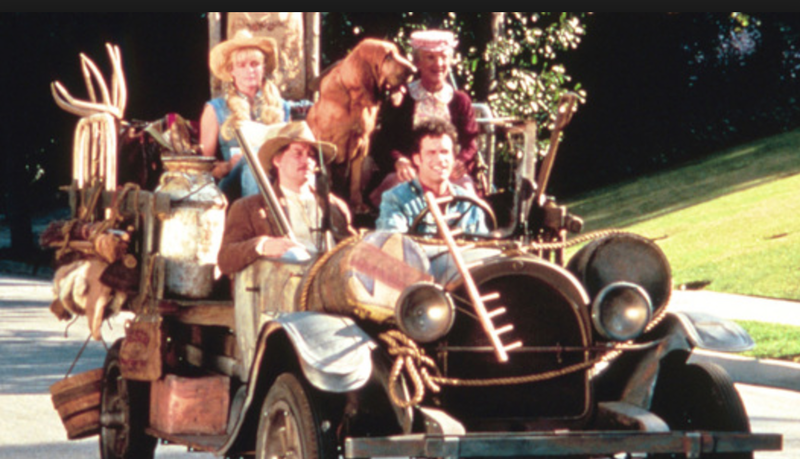 Remember the Beverly Hillbillies? The Clampetts strike oil in the Ozarks and move to Beverly Hills in a rags-to-riches sitcom of the 1960s. 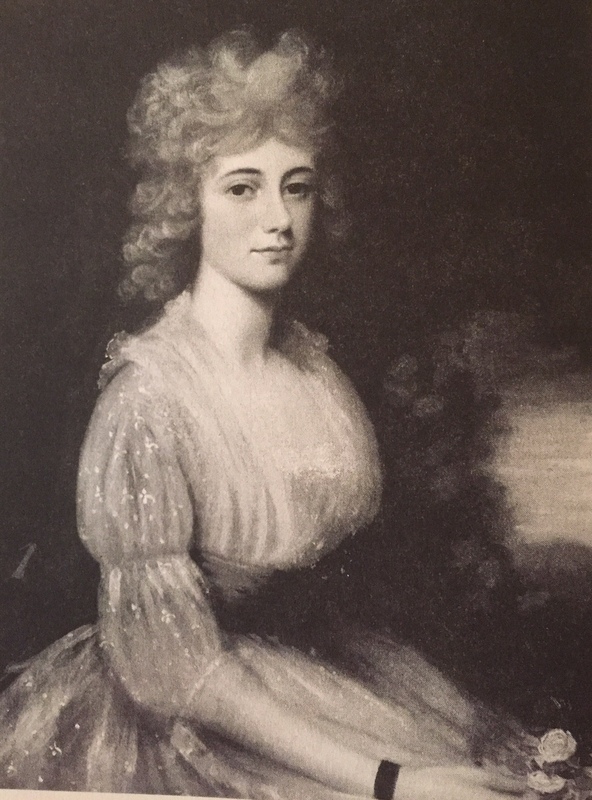 Of an entirely different era and social class, diarist Louisa Catherine Adams, wife of the 6th American President, John Quincy Adams, writes about multiple moves – both in European nations where John Quincy was diplomat and in the United States serving variously as senator, secretary of state, president, and finally congressman again. In her boldest move, Louisa traversed the passage from St. Petersburg to Paris while Napoleon rampaged through Europe. She traveled 2000 miles in 40 days, a journey almost unheard of for a woman alone. In 1815, while John Quincy was gone to Paris, Louisa in St. Petersburg had to “sell the furniture, dispose of the house, and buy a carriage that could carry her across the continent” to Paris. She needed supplies: food, drink, clothing, maps, tools and enough medicines for a small apothecary. She had read the map herself, not having heard from her husband, and unflinchingly set her course. Louisa, often sickly and afflicted with self-doubt, recorded her grief in “Diaries of a Nobody.” After all, she was often geographically separated from her husband during his ascendance to power, she suffered multiple miscarriages, all of her children except Charles preceded her in death, and she struggled with erysipelas, a skin inflammation. At 62, in an era when a woman’s life span was about 40, she was blossoming. Like the Grimké sisters of Charleston, with whom she corresponded, she championed women’s rights and the freeing of slaves. 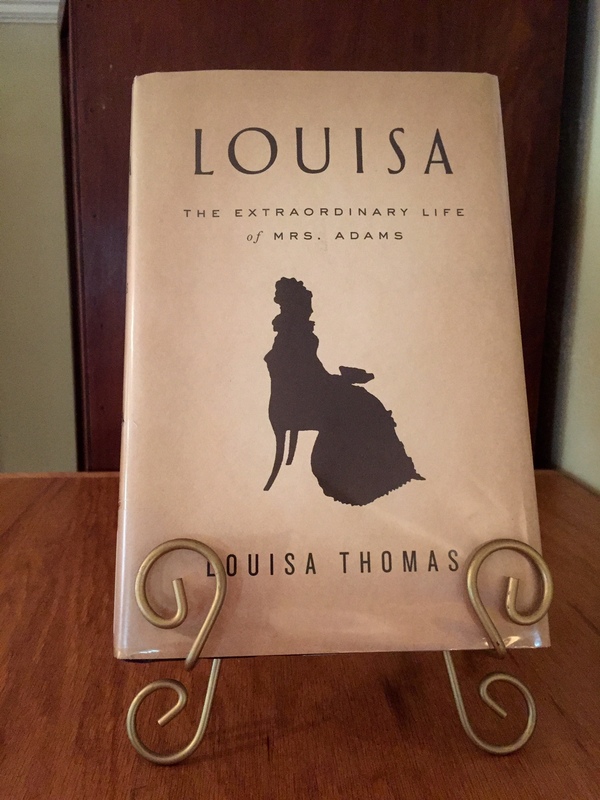 Writer and editor Louisa Thomas has written a stunning account of a memorable woman entitled Louisa: The Extraordinary Life of Mrs. Adams, 2016. Your turn: Can you recall any other historical characters with moving stories? One of your own to tell here? Go right ahead. Historian that you are, I\’m not surprised you wanted to probe further. You are right about the mother-in-law tension. The formidable Abigail held Louisa at arm\’s length most of her life because of her European lineage (her father was American but she grew up in England) and the fact that Louisa\’s spend-thrift father couldn\’t provide a proper dowry. In the end, Abigail could not deny her daughter-in-law\’s accomplishments and their letters reflect friendship. Biographies are not usually my genre, but about a month ago when I donated a load of books to the library, Louisa\’s silhouette stood out on a kiosk and I was drawn in. I had no idea her moving story would fit so well with my theme this month. Serendipitous, I\’d say. Thanks for adding the link. I\’m clicking on it now . . . .
which deals with the spouses of five well known figures, including Polly Newton, wife of John Newton, author of Amazing Grace. I must have given it away at some point off my shelves but there are some fascinating profiles of strong and intriguing women in that book. 🙂 See my other comment in response to this post as I went trekking back through your archives to the time before I knew you online! Those women really had to hard-nose their way through society then. No status, no property ownership, no right to vote. We stand on their shoulders and appreciate in hindsight. Melodie, we have that book plus C.S. LEWIS HAD A WIFE in our church library. William Peterson has done a couple others in the series but we only have these two. Maybe you donated it to your church library?? Thanks, Athanasia, for all these links to noble women, stars in the female firmament, but often living in the shadoww of their more publicized husbands. I knew nothing about Louisa Adams even though I taught women\’s history long ago and featured Abigail Adams, of course. Will follow Merril to the link. Eager to see you in your new digs. Abigail\’s formidable shadow was long, over-powering her daughter-in-law. The book propelled me on because I cared so much that Louisa would triumph in the end, just like romance novels but real. She did, but with many, many losses. Totally not sure how you\’re blogging while moving. I\’m in the midst of prepping for major family company in mid August, a grandbaby due any day, canning beans and gardening, taking hub to his therapy, and two jobs so blogging is sliding right now!! As you know, WordPress allows setting publication dates in advance. I wrote this one and our anniversary post about a month ago before the full impact of moving slammed into my schedule. I am also coming up on the second anniversary of my mother\’s passing. As I was paging through a \”lost\” family album preparing to \”box\” it, I saw some photos of Mother I hadn\’t published before. They sparked an idea for next week\’s blog which practically wrote itself. Also, the post gave me a place to \”house\” my grief. Writing as healing is no cliche in this case. You\’re welcome, Jill, and thanks for caring. I too found Louisa fascinating with way more obstacles than modern movers. She was a shaker too, and loved to dance! Wow! Sounds like quite the marathon, Marian. You\’re into the homestretch now! I couldn\’t do it without help. Right now I imagine I\’ll make it to the finish line and then fall flat. Sounds like a good read, Marian. Shades of Catherine the Great! I love reading about our former presidents and especially about their wives! This was so interesting! Thanks for sharing, Marian! Most of us have an inkling of the life of Abigail Adams. But until I read this book, I had not ever heard of her daughter-in-law Louisa, a First Lady four administrations later. I hope you clicked on the full review at the end, which records some interesting tidbits about Louisia\’s contradictory nature: shy and bold/ passive and active. A woman to be reckoned with, no doubt about it! She sounds like a woman with a great spirit! You hit the nail on the head, Fatima, who knows a thing or two about traveling and adapting to changing circumstances. Right? I appreciate your stopping by with a comment. Thank you for a very interesting post Marian. Good to hear from you again, Ann. Seeing your face here conjures up images of Father Longenecker in Greenville, SC, I believe. Ha! He he he! I have been, and am focusing on getting my life in transition so rarely reading my blogger friends and haven\’t even posted on my own blog. I will get there eventually. Of course you will. I am thrilled you\’re getting back in the groove reading this post – and commenting too, icing on the cake! Oh, Marian, this is a winner! 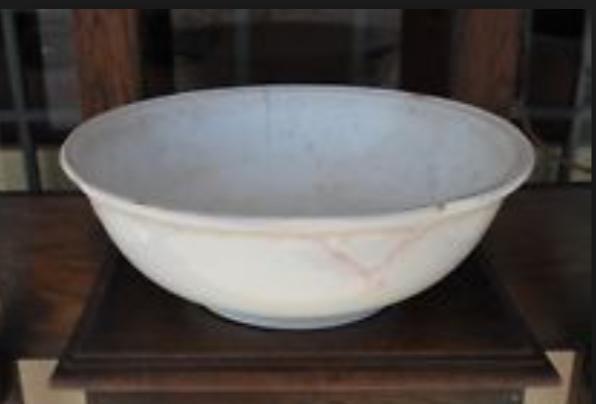 You begin with the hillbillies–now listen to a story about a man named Jeb–as a lead in to Louisa Adam\’s packing to be a wanderer, and then the grand finale with a touching lesson: \”…a cracked washbasin, symbolic of the naked faces bent toward it sometimes joyful and other times full of inconsolable pain, mirroring life itself.\” This blew me away. Thank you, Marian! You\’re most welcome, Marylin! As writer & writing coach you can see the scaffolding behind this post, just as I observe in your finely crafted pieces. Sort of like putting together a mosaic – or mixing cake batter: Take your pick. Always happy to see your friendly smile here. Marian — Clearly you have wow\’d me with your incredible description of LOUISA — someone I heretofore knew nothing about, but intend to remedy after I follow the link to your review. These staid women outfitted in fine dresses with wigs and jewels look unapproachable. Yet ladies with moxie like Louisa apparently weren\’t afraid to get their hands dirty and on occasion stand up to their husbands, in her case a towering figure somewhat out of touch with the daily grind. It amuses me that she had a bag of tricks to keep JQ in check and could party with the best of the as the linked review will show. From what I can gather, no one has heard Louisa\’s amazing story — only Abigail\’s. I know I hadn\’t. As you head toward launch, Laurie, I appreciate your taking the time to comment and spread the joy on Twitter. Thank you! Think of what a sad world this would be without you great women forging faithfully forward, uplifting all in their wake. I\’ll say Amen to my wonderful wife/writer! Looking forward to your own transition tales! You can just click on the arrows to see the progression. We are now levitating (hovering?) between two houses. I told Cliff yesterday that I feel like a figure in a Marc Chagall painting, floaty but not necessarily celestial. Sometimes I feel like screaming – and do! Thanks for reading and commenting here, Jenn! So interesting , what a gal… I must read that book . I used to live in The Black Country in the Midlands . We have a history of having many trades . Cradley Heath was known for chain making and they were instrumental in making all the chain needed for The Titanic . Mary McCarther was an amazing woman who came from Scotland and was a trade unionist She founded \’The federation of women\’s work \’ in a time when help was desperately needed. She came to Cradley Heath in 1910 because at that time women were receiving starvation wages …she turned all around …amazing . Do google her . What would we have done without these inspiring ladies fab . Women in every era step up to the plate and make a difference whether it\’s convenient or not. Louisa vacillated between feeling like a nobody in comparison to the towering figures of her husband and mother-in-law but then showing her moxie in traveling alone across Europe and being politically/socially active. I\’m an admirer of Louisa too, with all of her contradictions. Thanks for weighing in here, Debby. Louisa sounds like an amazing woman, way ahead of her time. This looks like a great book. Thanks for the review. I have always thought my great grandmother who crossed the ocean on a cattle ship with three toddlers and expecting another, to settle on the barren Candian prairies, was very brave and strong. Are you moved into your new home yet? Yes, your grandmother was very courageous, but so are you, leaving your Canadian homeland and settling into Spain as an ex pat. Though the culture is colorful and Spanish a romantic language, still you had to make many adjustments. I give you \”brave\” points for that. No, we haven\’t officially moved yet. We have made two U-Haul trips with most of Cliff\’s business/art cabinets, but there will come a day in August when we call in a big van and officially move 9 miles south of here. Thanks for asking, Darlene. I do enjoy a good biography. How is your move going? We are in transit as it were – between 2 houses and hoping to sell our current property soon. Fortunately, we don\’t have an interstate or intercontinental move to consider, which would be even more disconcerting. Thanks for your concern, Fiona. THANK YOU for sharing Louisa\’s story with us here, Marian. I had my mouth open the entire time I read this post What a woman! What a life! And why isn\’t this is our history books?! We need more HERSTORY!!!! I SO agree. It beats Washington chopping down the cherry tree every time. Until this book, I had heard only of Abigail. Her daughter-in-law Louisa eclipsed her in many ways. I lift my glass to more HERSTORY too, Pamela! What a woman. I especially loved her move to put on a cap and carry a sword. 🙂 And her words about not intending to be an echo of her husband. Yes, Luci, your words echo my feelings too. What makes her so endearing to me is that like most she had conflicted feelings: The same woman who wore a cap and sword to repel enemies on her travels also many times felt like a nobody – if her diary is any indication. Thanks for sharing Louisa\’s story; I love women\’s history, and now I definitely want to read her biography! Yes, a very rewarding read. I\’d love to know your thoughts after you read the book . . .
A beautiful review, Marian. She sounds like an amazing woman and I didn\’t know anything about her. I still don\’t know much, but know enough to be interested. Thank you. My sentiments exactly, Elaine, and thank you for expressing them. Until Louisa Thomas researched her life via diaries and other historical documents, this woman was virtually unknown. Now I wonder how many other remarkable women\’s lives have been obscured by patriarchal primacy or overshadowed by other towering figures, in her case Abigail Adams, wife of President Adams the elder.